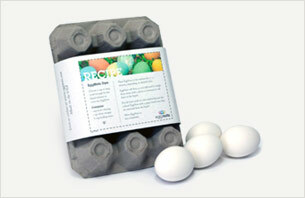 Egg allergies and Easter celebrations just got a little bit more fun! NO more missing out on the messy and fun ritual of dying eggs which kids and adults (admit it~) enjoy! Here is a safe way of letting your child join in on the annual activity of letting their creative juices flow as they whimsically decorate clothing and furniture. I mean EGGS! Seriously, though, can you imagine the look of joy when they, too, can color, sticker, draw and hold Easter 'eggs' this holiday season? You can also use them for wreaths, making bird nests or just being creative with home decor. Be sure to visit their website to learn more! EggNots from No Corners, LLC. This is just another example of how having food allergies isn't about what you CAN'T do, but what you CAN do, just with different ingredients! Here's to an enjoyable and colorful holiday!